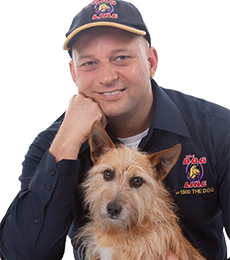 Under the Animals Management (Cats & Dogs) Act 2008, the Queensland government requires all dog owners in possession of a declared dangerous dog, menacing dog and restricted dogs comply with each and every requirement of the Act or face large fines and penalties. We have compiled a short and handy Fact Sheet containing all the most important facts you need to know about regulated dogs in Queensland and guide you through the requirements with ease. If you need more details, read the Dangerous, Menacing and Restricted Dogs in QLD page or contact your local council. QLD Regulated Dogs - What are they? Restricted Dogs in QLD - What are restricted? Breeding Restricted Dogs in QLD - Am I allowed? 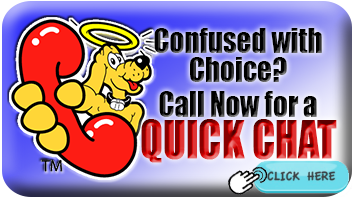 Proper Regulated Dog Housing - Can I use my old dog house in QLD? 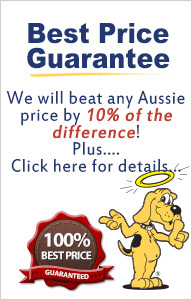 Regulated Dog Declaration - How are they declared in QLD? Regulated Dog Tag - Do I need one in QLD? Dog Muzzle in QLD - Do I need to use it? The Act defines 3 types of dogs and calls them regulated dogs in general. Any dog no matter what size or breed can be declared dangerous or menacing. The Act strictly prohibits breeding restricted dogs or encouraging them to breed. It is compulsory that these dogs are desexed and tattooed for proof. Selling, buying or giving away a restricted breed is also prohibited and all offenses are punishable by law. The Act also includes a number of requirements of the proper housing or enclosure for a regulated dog. Old dog houses or enclosures are not to be used unless they comply with the Act’s requirements on Enclosures defined in Division 3 of the Animal Management (Cats and Dogs) Regulation 2009. Any breed or size of dog in Queensland can be declared a dangerous or a menacing dog by an authorised officer of a local council depending on what the dog has done. A Dangerous Dog is any dog of any size or breed in Queensland being declared dangerous due to an attack or an act that has caused fear and resulted into serious injury against a person or animal. A Menacing Dog is any dog of any size or breed in Queensland being declared menacing due to an attack or an act that has caused fear to a person or animal in a non-serious manner. A Restricted Dog are dogs of a breed prohibited from import into Australia under the Customs Act 1901 of the Commonwealth including the breeds mentioned above. •	Contain the engraved and legible words “Regulated Dog”. •	Contain an engraved and legible 24 hour contact number of the owner or any responsible person for the dog. Dangerous Dog Warning Sign – Which one do I need in QLD? It is required that all regulated dogs in Queensland which includes dangerous dogs, menacing dogs and restricted dogs to wear a secure dog muzzle at all times in public. The dog must also be on leash all the time and handled by a responsible person not below the age of 18. •	All regulated dogs must wear a custom dog tag attached to their collar at all times. •	A special warning sign for ether Dangerous Dog, Menacing Dog or Restricted Dog must be installed on all entrances where the dog is usually kept. •	The dog must always wear a Dog Muzzle and on leash being handled by a capably adult when in public. •	A regulated dog must be confined in an enclosure that complies with the Act’s requirements. This fact sheet is meant to be a short guide for dog owners with dangerous dogs, menacing dogs or restricted dogs. For more details read the Dangerous, Menacing and Restricted Dogs in QLD page or contact your local council.